An investment that you will want to enjoy for years. And it’s a very prominent part of any room where it’s placed. 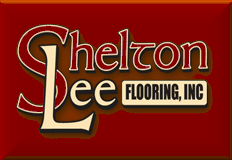 Shelton Lee Flooring Specialties, Inc. can help you in selecting the right carpet. When you browse our carpet section, think about your carpet needs, where you’ll place the carpet, the kind of traffic it will get and how it will coordinate with your decorating style. There is Carpet for Virtually Any Decor, Budget and Lifestyle!